20 trades is of course the absolute minimum required. Feel free to increase it if you prefer larger sample sizes. But do not reduce it. Any less that 20 and your sample size is too small to provide useful data. 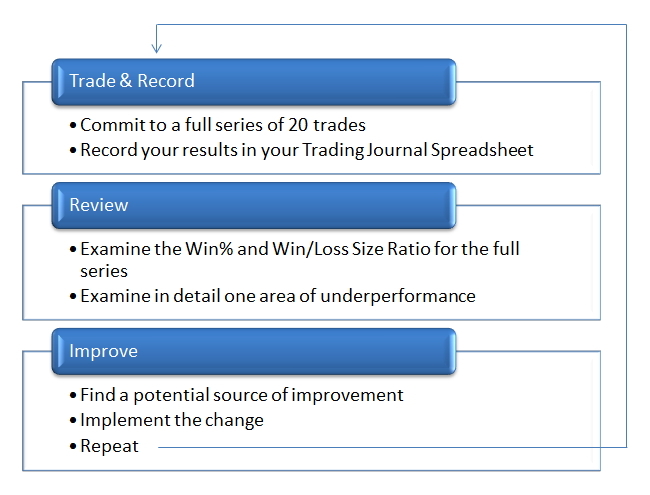 Anyway, today I want to discuss a NECESSARY component of this 20 trade review process. 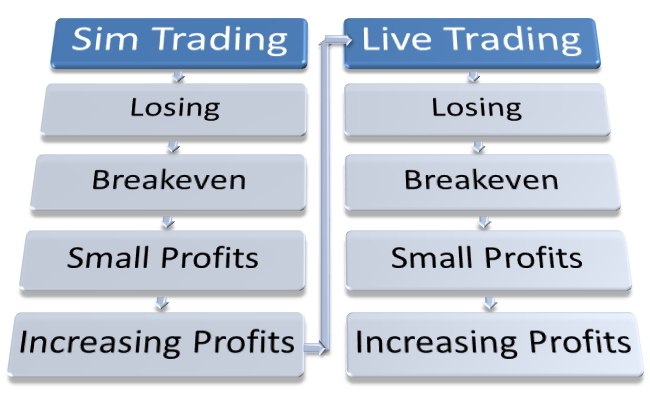 I had a chance to speak to a trader this week who was not progressing well, despite tracking stats for 20 trades at a time. She was NOT being consistent through the whole sample. 8 trades from Monday trading YTC Scalper pullbacks to the Major-WS zone. 5 trades from Tuesday trading only from the short side, because "well yesterday all my buy trades sucked." 6 trades from Wednesday… who knows what the plan was here??? If your BUY trades sucked on Monday, that's fine. As long as you haven't hit any money management drawdown limits, then keep trading the same plan on Tuesday, Wednesday and Thursday. Finish the series! Clearly something was wrong. Perhaps it was just you having an off day? Perhaps it was just you failing to adapt to the particular conditions presented by the market that day? Whatever it was, it will REALLY help to know if it's a problem isolated to just that one day, or have you uncovered a larger and more widespread concern. So whenever you're starting a new series of 20 trades (or more), please commit to being consistent throughout the WHOLE SERIES. Document the plan that you will follow throughout the whole series. But more than that… consider the following as well. Ensure consistency in pre-session routines. Ensure consistency in during-session routines. Ensure consistency in post-session routines. Effective growth and development depends upon you identifying what works well. And doing more of it. And identifying what is not working well, in order to improve. CONSISTENCY is a NECESSARY part of the process! At least for the whole 20 trade sample. Changes should only be made AFTER a whole series is complete and the stats and trades have been reviewed.